At I3D MFG™, we love the Pacific Northwest lifestyle. We fish, hunt, ranch, ride, bike, hike, and run. We savor Tillamook cheese, Dungeness Crab, Columbia Gorge cherries & pears, Pendleton whiskey, regional wine and craft brews. We serve our country and community in the National Guard, Little League, PTA, and local STEM classes. We have tradition, roots, loyalty. Those same personal values translate 1:1 to our business. Our customers and the 3D manufacturing industry are our passion. We value local, regional, and U.S. partnerships and products. i3D MFG™ evolved from a desire to connect small and medium-sized businesses with 3D technology that enables cost-effective, small batch U.S. manufacturing of complex and high-value parts. We are our customers’ pathway to disrupting their markets. i3D MFG™ opened in 2013 and started with one EOS M280 Direct Metal Laser Melting (DMLM) machine, and we have grown to 7 machines including the EOS M400.4 production DMLM machine. 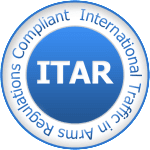 i3D MFG™ is ITAR registered with U.S. Department of State and follows ITAR protocols in its Bend, Oregon and The Dalles, Oregon locations. Below is a list of our friends. Please enjoy our website. We’d love to meet you so feel free to contact us.